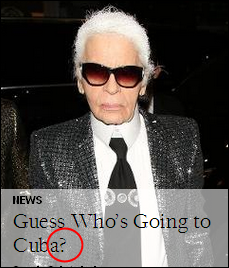 That’s an imperative sentence starting with guess, which is a command to the reader, not a question. It’s not a question, it’s a imperative sentence. No surprise here: Yahoo! Makers makes a mistake. Shocking, no? Guess what the mistake is. It’s that question mark at the end of an imperative sentence.